When I saw the the topic for Wednesday’s linkup from Shay and Erica, I was excited in a way that only a blogger can be. I couldn’t wait to share a little about how I balance work and home life as a work-at-home mom, and (especially) read about what works for you! I’m part of the small group of EVERYONE who is looking for more balance in life. As a work-at-home mom, one area of life blurs right into the next. I’m home with my kids whether I’m tending to my daily chores, spiritual life, marriage, physical health, or hobbies on top of the all-consuming focus of my day with the kids. I work as a freelance editor online, and figuring out when and how to do my job has taken some practice as life has changed, well, pretty dramatically over the past four years. At the time I first picked up the extra work, I had a full-time job with a two-hour commute, and we were living in a different state. My husband and I didn’t have kids yet. Since then, I’ve become a SAHM with two children, and moved twice. And because schedules change all the time with little ones, sometimes I find myself having difficulty doing all that juggling. I’m not going to claim to be an expert, and my days can get completely off track, but here’s how I balance my freelance job with everything else. Just being intentional about when I will fit in freelance work has made things a whole lot easier for me. I first started getting serious about this when I participated in the challenging/amazing course Make Over Your Mornings, and I decided to wake up a bit early to fit in a little editing, among other things. Being more intentional about this has actually changed my life. Making over my mornings has translated into more time for everything–especially for me, my husband, and kids…and that is priceless. I’ve always been a morning person, so it works really well for me. I still wake up early to accomplish more in my day, but I’ve changed my goal time for work to the early afternoon, while my kids are having a quiet time/nap. Being flexible with the time has really paid off for me. No matter when I do it, having a plan for a little bit of work each day really makes things simpler and less stressful. I write in this time in my planner so it’s extra clear. If there isn’t a plan, I find myself opening my laptop and trying to work as I do everything else, making not just my work suffer, but my kids too. I’m almost always “in the middle of something,” so it’s important that if a thought occurs to me about an email I need to write, a goal I need to hit, or something to add to the database I work on, it’s nice to be able to get it out and return to it later. 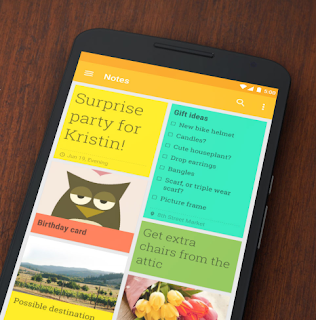 When I don’t have my planner at my side, I use the free app Google Keep. You can create a plain ol’ note, a task list with checkboxes, set up reminders by time or location, add photos, and use color coding for it all. I also like using the voice-to-text option on my phone to take notes while my hands are busy. What I love the most is how uncomplicated and pretty this little app is. When I don’t have my phone nearby, I’m working on keeping a pad of paper around. I like to have notebooks for every topic if I can manage it (because I’m an addict), like a freelance work notebook, blogging notebook, or an aromatherapy notebook. But sometimes I need to just chill and grab any paper nearby, even if it’s not in a pretty, themed notebook. My heart breaks a little each time. Thankfully, the results are the same. I could make more money every month by blogging professionally, but after I had my daughter and things got a little bit more hectic, I turned down that opportunity long-term. And it felt sooooo good. Only doing the work I have time for means I’m better at my job and so much happier! Someday I will probably pick up freelance blogging again, but it may take another year. Or two. So if you are debating scaling back your work because you struggle to “do it all” I’d highly recommend it. The popular idea to “put the big rocks in first” is a very wise one. With priorities that put God first, followed by marriage, kids, and work, I can actually find more room for all those smaller rocks. And I’ve learned to recognize when I should let the small things go. I like to start my day with a quiet time to learn from God and give him my concerns and burdens. Keeping this all in order protects my sanity (relatively speaking) so that I don’t place too much importance on the little things that go wrong, and so that I don’t think that I can do it all on my own and then feel bad about myself when I fail. Things just aren’t going to go as planned. I still have days where I’ve had very little sleep, where sickness hits us like a ton of Kleenex (there are never enough! ), or where all sorts of bodily fluids end up on the floor. Sometimes a “successful” day is one where everyone is fed, clothed, and loved, and nothing more is accomplished. And that’s not only okay, it’s evidence of a life that’s in good order. I’m far from perfect and have more days than not when I fail to follow my best advice on at least one of these elements. And that’s totally ok. But when, by God’s grace, I can manage to balance life like this, it makes my day so much happier. Please share what works for you! Yes, exactly! It's been good for me too to notice where I'm putting unneeded pressure on myself and let those things go in order to do what's more important. I need to look into that Google Keep and the program about mornings! I am determined to train myself to wake up earlier!